Why is it Good to Know God is Infinite? Check out our page sharing the gospel. There are now wonderful videos from "The Gospel Project" that help people understand Biblical concepts like holiness and sin. We are so glad that you've taken the time to visit our website. You'll find a lot of things here. We have our service times, several places where you can read various kinds of articles, as well as ways for you to listen to past teachings and to sign-up for events and ministry taking place in the fellowship. Take a few moments and browse the site. We hope you choose to visit the church soon to worship and hear the Word with us. Thanks again for coming to our site! Everything on this site is offered for free. If, however, you would like to make a donation to help pay for its continued presence on the internet, you can do that by clicking here. The only thing we ask is that you give first to the local church you attend. Thank you! Coming Up in the Word . . .
Pastor John will be walking through the books of Joshua and Judges. Currently he is in the book of Joshua verse by verse. 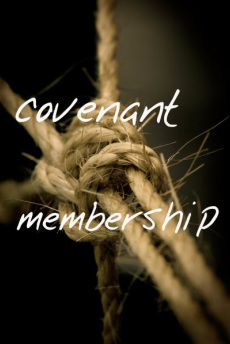 Just a reminder that we of our next Covenant Membership Class this fall. The class lasts 4 weeks. If you are interested in becoming a Covenant member of Calvary Chapel, click on the picture to the side here to sign up to be a part of this class. The next class will start this Winter​, so be sure to sign up very soon to be a part of it!